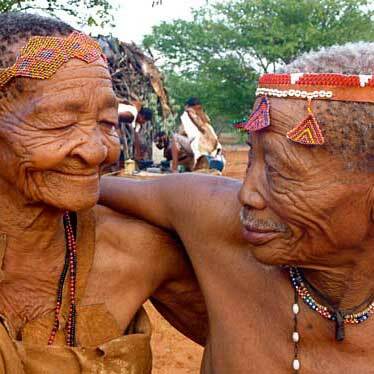 ​The San / Bushmen have acknowledged rights of intellectual property in a wide range of plants, such as Rooibos tea, the Hoodia plant, Sceletium (anti-depressant). These natural resources are the only capital now remaining to them. Their entitlement to royalties from the market has been largely ignored by the industries which have made huge profits by benefitting from knowledge taken without proper recognition of origin. The primary reason why they are unable to benefit from the market for the products derived from the plants is their lack of capacity to assert their intellectual property rights (IPRs). Traders in these markets employ skilled lawyers to ensure that the San remain largely excluded from the market, despite their acknowledged rights. ​Protimos is building partnerships across Southern Africa, with the goal of establishing a competent and powerful specialist legal centre to ensure that the San, and others in a similar position on the African continent enter negotiations with equality of arms, to extend throughout the process, with the capacity to litigate, without which negotiations are destined to fail. Such legal capacity for the San and others could achieve a set of income streams derived from the market of products produced using their own local knowledge.